Max is a warrior’s apprentice. He deserves neither a good weapon nor a beautiful horse. He’s not a heroic man; he has even died three times already. Anastasia is an ordinary schoolgirl. She good-naturedly argues with her mom during breakfast, and doesn’t like to wear any skirts as she loves to ride. Tomorrow she has a test and an equestrian competition. 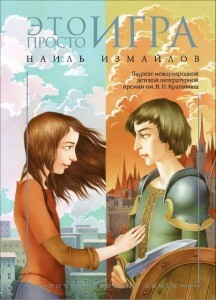 Max and Anastasia exist in different realities on different sides of a computer monitor. They become characters in one story through an exchange of bodies, after which they fight in great battles and race on horses and cars until the inevitable end of the world. Both of them are under grave threats which can be prevented only by finding the thin line between the life and the game.